Partly summer, partly monsoon—it’s that time of the year to turn to something comforting and delicious. Say hello to Fat Lulu’s new outlet and it’s New York style gourmet pizzas will be your constant throughout all seasons. It goes without saying that pizza rules—as a snack, main course or a side dish. Fat Lulu’s, an American pizzeria is taking the world by storm by creating one artisanal pizza at a time. Fat Lulu’s have 4 outlets in Delhi & Gurugram and have opened a new outlet in Ambience Mall Vasant Kunj, this needs to be in your bucket list. 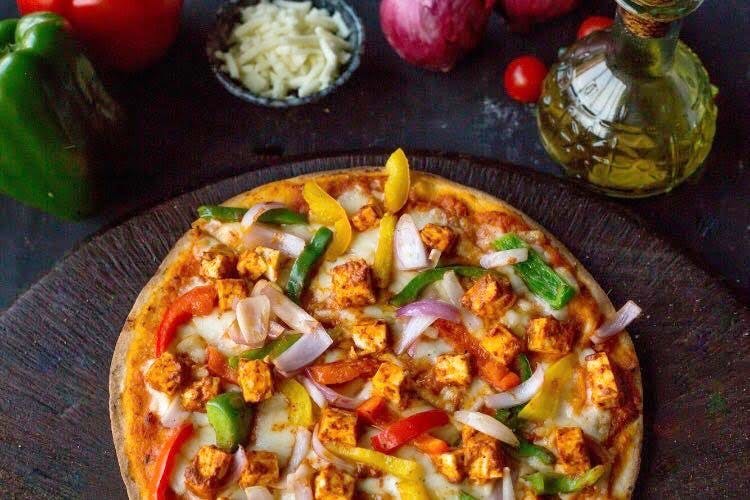 The thin-crusted pizzas here are inspired from NYC and given an Indian twist to it. What we love about them is they prepare their own dough and hand-roll the pizzas using fresh ingredients and toppings. You must totally try the Soho Pizza, Brooklyn & Mexicali. Let’s jump to the best part—when dining at the outlet, you can get a free Pull-Apart Garlic Bread on a purchase of a 12” pizza and a portion of pasta on a purchase of a 14” pizza. This is for real! Let this offer be your excuse to meet your old friends and catch up on a quick pizza date. The offer is available for a limited time so grab the deal before it’s too late. To know more, follow them on Facebook, Instagram & Twitter.